Surely you ask yourself, how to play ? 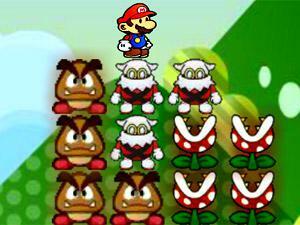 Well, here are the instructions: Look at the characters around Mario, should disappear. Click on one of them and all are alike and touch, also disappear. There must be two or more equal together to make them disappear. The only rule we have is that Mario can not touch the ground after the last group disappears.